Have you seen a cockroach in your room that has since scurried away behind the bed or something else in the room, and now you can’t find it? If so, don’t get your hopes up about being able to find and kill the roach. Once they get out of your sight, cockroaches can be extremely difficult to locate. They are masters at the art of hiding in tiny cracks and crevices so that they won’t be detected. Roaches know instinctively that humans are a potential threat and will quickly hide from them. Keep in mind that the cockroach is probably more frightened of you than you are of it, and it is not likely to come out again until it is dark in your room. Are you determined to find that filthy cockroach? But what if you are haunted by the idea of a marauding cockroach loose in your room, and are absolutely steadfast to find and dispose of it? Try using a flashlight to search the area where you last saw the roach. If you don’t have one, you can use the flashlight app on your mobile phone. If you’re able to shine light on a cockroach you can get him to start running, making it easier to spot him. Turn over and look under anything that a roach could hide behind. If you are lucky and do find the roach it will quickly run. So be ready to kill it with a book, shoe, or spray can of roach killer. If you don’t have any luck locating the disappearing cockroach, you can look for potential escape hatches along the baseboard of the walls. Finding these will also give you an idea of how the roaches are getting into your room in the first place. But getting the roach out of these hiding places is another matter altogether. Roaches have special abilities to avoid being found. Roaches have very sensitive antenna on their head which are used to listen to minute vibrations in the air caused by the movement of people or animals. These antenna allows the roach to sense the presence of predators like you. So once a roach is spooked, it probably won’t emerge again for some time. Also, cockroaches are highly averse to light and will run towards a dark hiding spot as soon as you open the door or turn the lights on. This is another defense mechanism that cockroaches have developed through evolution to help them survive. If cockroaches were not afraid of the light, they would be easily seen and killed by predators. What to do if you can’t find the roach? If you are not successful at finding the cockroach, you will need to use some roach products in order to exterminate him and all of his roach friends. You may choose to put down a couple of roach traps around the room, which should lure the roach to his death. I literally spent my entire evening last night hunting for the cockroach which was hiding under my kitchen strainer! I moved my stove and other appliances searching for it but cant find it! I admire your determination to capture this roach. Good luck. If the homemade route doesn’t work, try some cheap effective store bought methods I recommend in my other posts. It is 4:30 AM, my roommates are all asleep, and I hear noise near my bed. It was a roach that quickly ran under my bed and I have a serious phobia of those things. The picture above almost made me throw my phone. I’m totally SOL! Omg I came home from work and there was a roach ON MY BED. I tried to kill it but it went under my bed. I could not sleep so I took off all the bed and pillow sheets and washed them, then spent HOURS looking for it and even put peppermint, lemon zest, and chives under my bed. After 3 hours the cockroach came out and I thought it went into my closet, but it didn’t so I killed it. Okay. I was playing computer like normal and i just saw a huge cockrouch crawl around the screen of the computer! Now i cant find it. 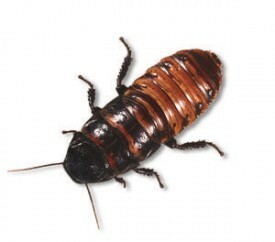 One of my sister’s friends said there really was a roach crawled behind my bed…I was flipping out because I have bugs. She went to go get my sister’s jandal to kill it. We looked and it was under a stool beside my bed. She tried to kill it but I literally ran as fast as Usain Bolt in the 2012 Olympics. Now I’m freaking out and won’t sleep in my room…….whyyyyy???????????????????????????? Please help, there is a roach in my house and I’m so afraid of them. It even flew on me. I saw a roach in my hallway then it ran into my room. And went behind the bed and I blinked and it was gone. Last night a cockroach was right next to me and I spent 15 minutes trying to kill it but anywhere I check there’s no hiding spots for it. What do I do? Once a roach gets to a hiding spot, it can be really difficult to find it, as you have seen. Put out some roach bait of your choice and kill it that way.